It's such a pretty shade, and it has the classic MAC vanilla scent as well which I love. It's my first lipstick from the Sheen Supreme range and I'm quite happy with it. It's not as long lasting as the Amplifieds or Cremesheens, but it's beautifully glossy and hydrating. So how close is it in in colour to the lipstick I was desperately looking to replace? Here they are side by side and swatched. Classics #227 is slightly more pink, but it's close enough in colour to keep me satisfied! Have you tried anything from the Sheen Supreme range? I haven't tried anything -yet- from the sheen supreme range: this shade looks absolutely gorgeous! Lurve this colour & have it myself! It's gorgeous isn't it? Can't believe it took me so long to actually get this! So pleased you found a replacement. I had been wondering if you had any luck. Beautiful colour and you're so lucky that it suits you so well. wow such a pretty lila color! I was looking for a shade like that for a long time. Thank you for sharing! Looks beautiful on you, but would be too purple for me with my red hair. 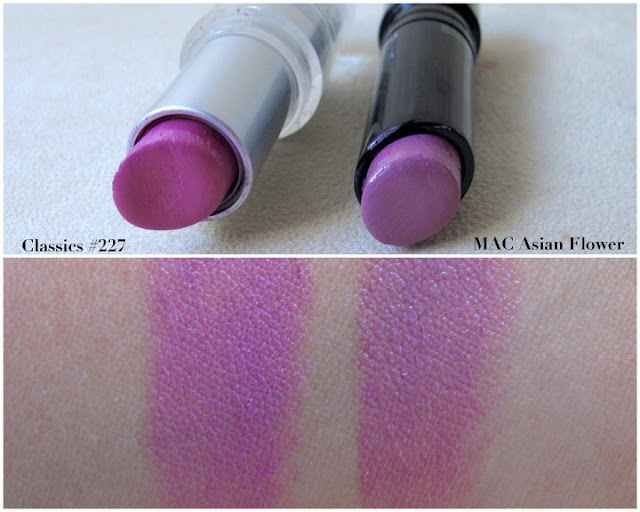 Haven't personally tried any MAC lipsticks, but I hear such good things about them I may just have to pick up one or two. I'm happy to see you found something that is close enough for you. Try maybe using a pink lip liner underneath to add more of a pink tone if you want it to be more like 227. But I love mixing everything I have (polish, mascara, hair care) so I don't mind some extra steps. I love this colour on you! 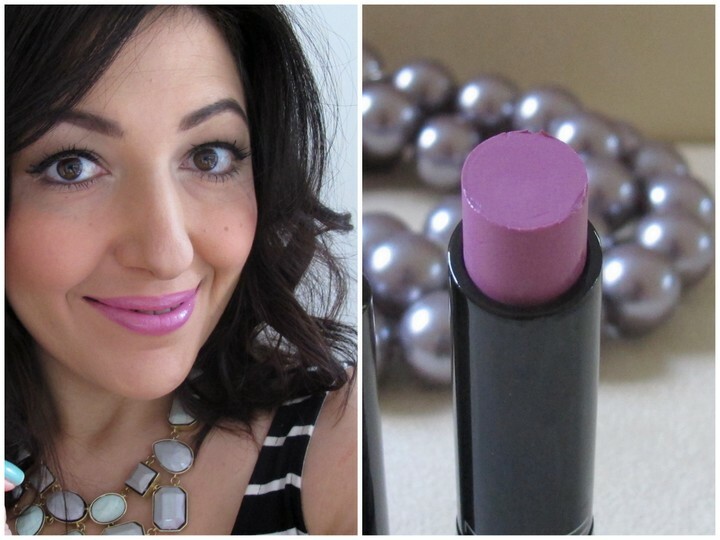 Im usually too scared to try out purple lipsticks but recently found it very wearable! So glad that you bought Asian Flower! I wear it all the time and love how it brightens up my purple looks. Glad you are happy with it. Gosh this is a beautiful colour Lilit! I actually prefer this "new" shade to the colour you were looking to replace. If you aren't already aware, Australis has actually released a purply shade in their Pout Pastes (Berry Nice Kiss) which you might like if wanting to expand your purply collection - Make Up Store have some purpleish ones too! 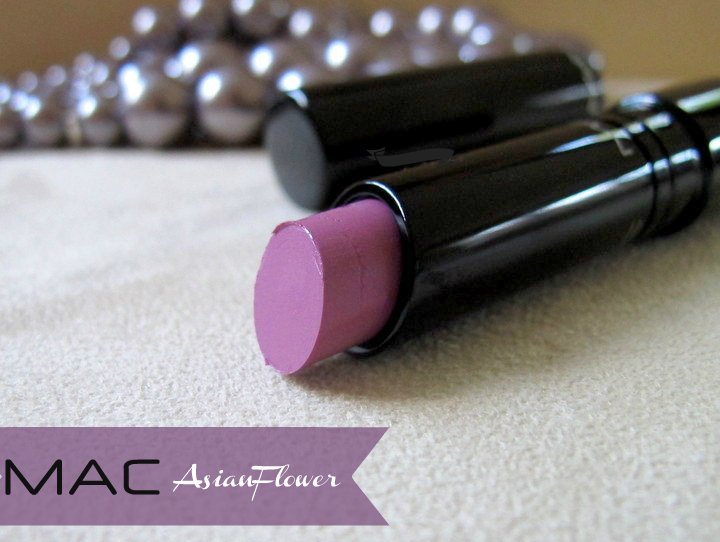 Confession - I have never tried a MAC lipstick before! I am hanging out till I go to the US to save a lil cashola.